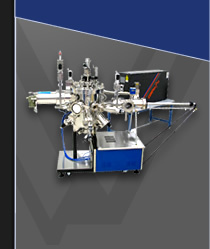 The SVTA cleaving system is designed for cleaving wafers into thin strips/bars in a UHV process chamber. The cleaving system mounts on a single flange of the process chamber. The tool cleaves wafers into 15mm long by 1mm wide bars; other dimensions are available to fit your system needs. The thin bars are stacked, rotated and placed on a deposition block. The deposition block can then be transferred to a deposition chamber for facet coating of the two cleaved edges or for other deposition processes. 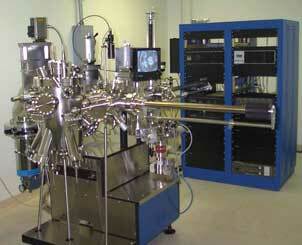 The entire process is performed under ultra-high vacuum conditions. SVTA will assist you to add the cleaving system to your existing system configuration.